It was unanimous. 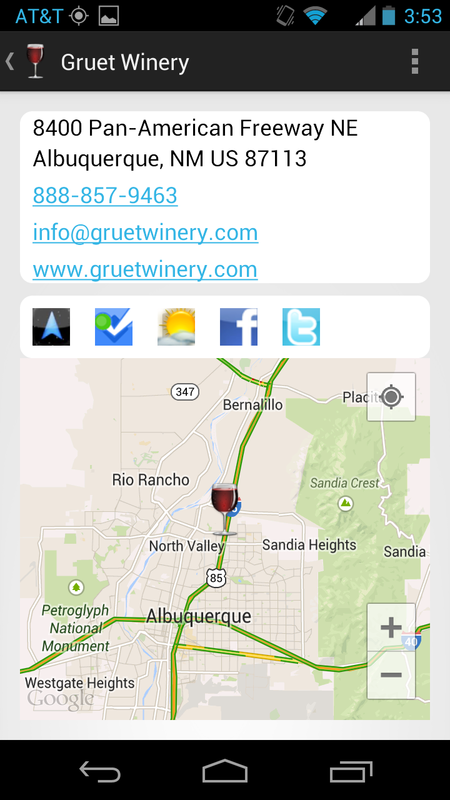 Every chef and sommelier interviewed by StarChefs.com selected Gruet Winery as their preferred winery from New Mexico. There are about 40 wineries in the "Land of Enchantment" producing wines from Cabernet Sauvignon, Chardonnay, Johannisburg Riesling, Merlot, Pinot Noir, Sauvignon Blanc, and Zinfandel grapes. 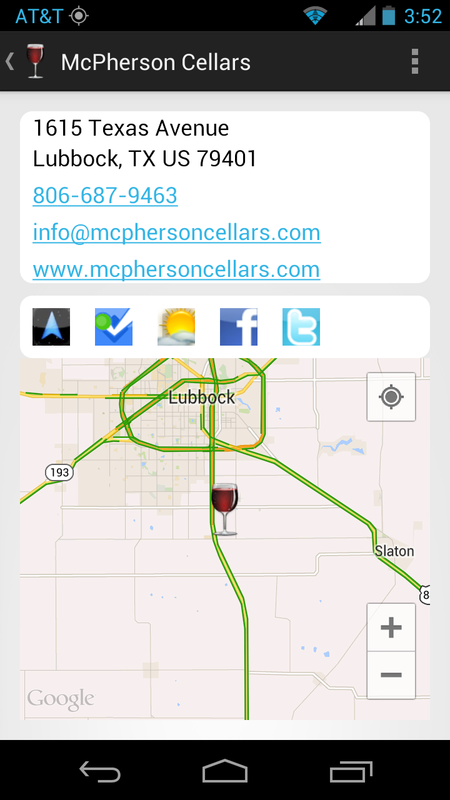 This Labor Day Weekend, wines from New Mexico will be showcased at the New Mexico Wine Growers Association Harvest Wine Festival at the Southern NM State Fairgrounds in Las Cruces and in Bernalillo at the 25th Annual New Mexico Wine Festival. Gruet Winery is probably the most popular winery - assisted by its wide distribution network - selling over 100,000 cases to 48 states. The winery was founded by French champagne producer Gilbert Gruet after he and his family visited the American southwest in 1983. As a result of meeting a group of New Mexican winemakers, they (Gruet; his children, winemaker Laurent and daughter Nathalie; and family friend Farid Himeur) planted an experimental vineyard with Pinot Noir and Chardonnay grapes near the town of Engle. The vineyards are situated at 4,300 feet, allowing for large diurnal temperature change between the extremely hot days and cool nights. Plus, there's little humidity to contribute to grape rot. An excellent location. And using the traditional grapes from Champagne, New Mexican sparkling wine was born. 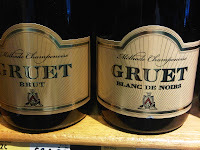 For our tasting ,we selected the Gruet Blanc de Noirs available from Whole Foods for $15. Composed of Pinot Noir and Pinot Meunier, the wine follows traditional Champagne Methodoise practices, maybe too much - since the secondary fermentation gave this sparkler an explosive amount of bubbles. But after the initial fireworks settled, the wine was very tasty, 100% dry with creamy apple flavors and a tart almost citrusy finish. This is a solid sparkling wine, and at that price, why not drink a sparkler a day. We've been fans of the Ron Zacapa 23 Rum for quite some time. And why not. It's nutty aroma, sweet honey flavors, creamy texture, and smooth, long finish - never a burn - should satisfy anyone. We've known that they utilize the first press of sugar cane (virgin sugar cane honey) and that the rum is aged in "The House Above the Clouds" 7,500ft above sea level in eastern Guatemala. Yet, we never really understood their unique Sistema Solera process - modeled after sherry production - and it's contribution to this excellent rum. 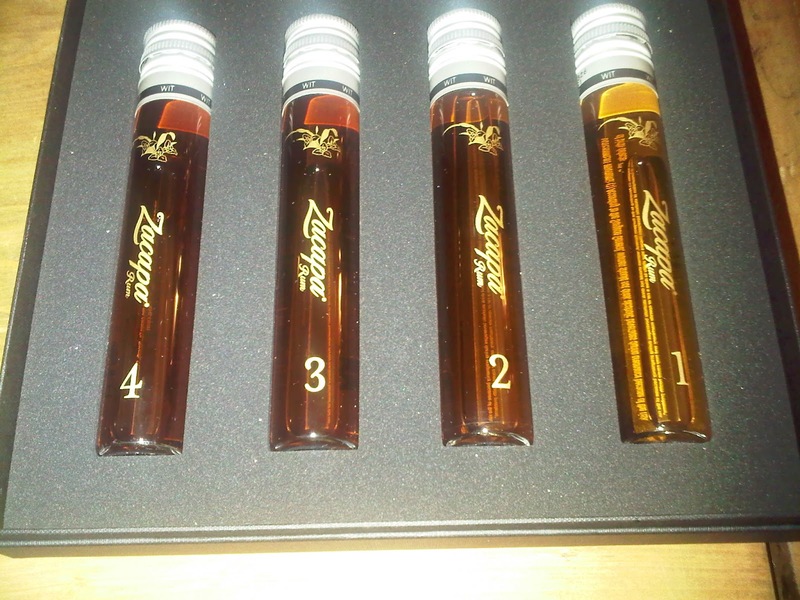 That is, until now, when the Zacapa distillery sent us a tasting kit, with vials containing rum samples from each stage of the Solera process, plus the final Ron Zacapa 23 blend. What a tasting opportunity. Before tasting, let's start with their distilling process. As previously mentioned, the rum starts from sugar cane and not molasses. Zacapa's sugar cane is harvested from their plantation "located on the volcanic plains of Retalhuleu, 1,148ft above sea level in south-western Guatemala". The sugar cane is then pressed, and the first press is then fermented using their own strain of yeast extracted from pineapples. The fermented juice is then distilled using a single column copper still. After distillation, the freshly distilled spirit is transported to "The House Above the Clouds" and the Sistema Solera process begins. This process involves several stages or "criadera" - Spanish for nursery. In the first stage or criadera, freshly distilled juice is aged and then blended with juice that has previously aged within the same level as well as a stock from the general reserve. This intermediate blend then moves to the next stage, aged in different barrels and then blended with older lots, and then sent to the next criadera. 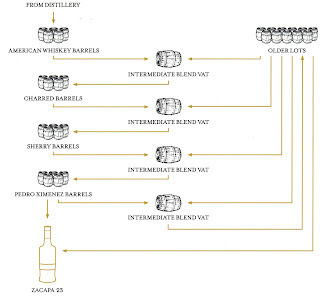 The process repeats until the final blend is realized and this becomes the Solera - in our case - the Ron Zacapa 23. 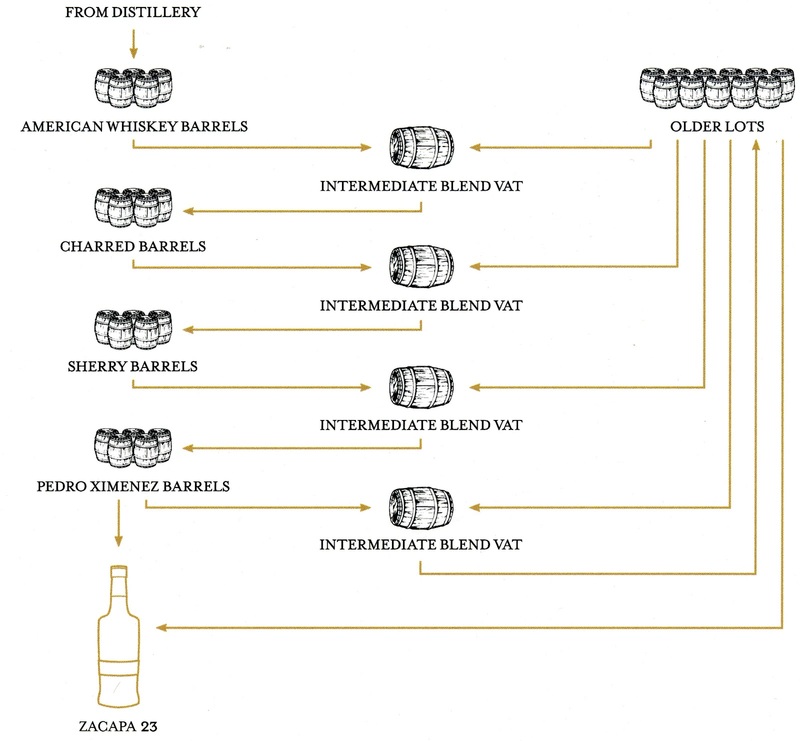 The Zacapa Solera process uses four criadera and the tasting kit includes samples from three of these, as well as the finished solera. (See the image below for more detail.) The attached video also describes the contents of the tasting kit, and whereas my tasting was less formal, I gained a greater appreciation how each step in the Solera process contributes to the overall complexity of Ron Zacapa 23. In Stage 1, the distilled sugar cane is aged in used American white oak Bourbon barrels for one to three years. The rum is then moved to the 4,500 gallon American Oak intermediate vat where it is blended with older lots. This mixture is then aged in charred Bourbon barrels, resulting in more oak flavors imparted into the spirit. This rum sample is reminiscent of a solid, slightly aged rum, with sugar cane aromas, sweet honey flavors and a slight burn at the tail. I could drink this version, at any time, with no second thoughts. In Stage 2, the intermediate blend vat is again augmented with rum from the reserve and then aged in used Sherry barrels. Surprisingly, the rum from this sample was toxic to my palette. The aroma from this sample was powerful - full of nuts and honey - but the burn was just as strong - overwhelming the new flavors imparted from the sherry casks. The sherry infused rum is added back to the vat, augmented by the reserve, and then sent to the fourth criadera or Stage 3 and aged in used Pedro Ximenez (PX) wine barrels. PX is a white Spanish grape used in sherry and sweet dessert wines. This sample was much more palatable than the last, exuding a similar nutty aroma but with a fig and banana-ish flavor and milder, albeit, still strong finish. Close, but not quite the same as the finished solera. It was also very 2-dimensional, running straight from the mouth to the tail, without much of the creamy mid-palette I associate with Zacapa 23. Missouri=Norton. That's basically what you need to know about the ® (thanks Chrysalis Vineyards) to a new level of quality and consumer acceptance. In order to learn more about the native Virginia grape, we recommend Todd Kliman 's The Wild Vine: A Forgotten Grape and the Untold Story of American Wine. And it was Kliman who recommended the Norton wines from Stone Hill Winery in the The United Grapes of America. And why not. The winery is listed in Paul Lukacs book, The Great Wines of America: The Top Forty Vintners, Vineyards, and Vintages because of their ability to produce quality Norton wines each and every year. Before prohibition, it was the second largest winery in the United States and was "winning gold medals in eight world's fairs, including Vienna in 1873 and Philadelphia in 1876". All that fell apart after prohibition until Jim and Betty Held purchased the property in the mid 1960s. They restored the winery, now listed on the National Register of Historic Places, and resumed producing quality wine recognized by Lukacs and seven Missouri Governor's Cups since 1994. As detailed in Kliman's book, cuttings from Stone Hill were used by Dennis Horton at Horton Vineyards to revive the Norton grape in its native Virginia. Missouri wine industry. Yes, there's Vignole, Chardonel, Chambourcin, & St. Vincent; but Missouri wineries have raised the Real American Grape! Norton is so popular in The Show Me State that we attended a National Norton Festival in St. Louis which showcased the versatility of the grape. It can be vinified into a full bodied tannic wine or as a fruit forward summer wine served slightly chilled. 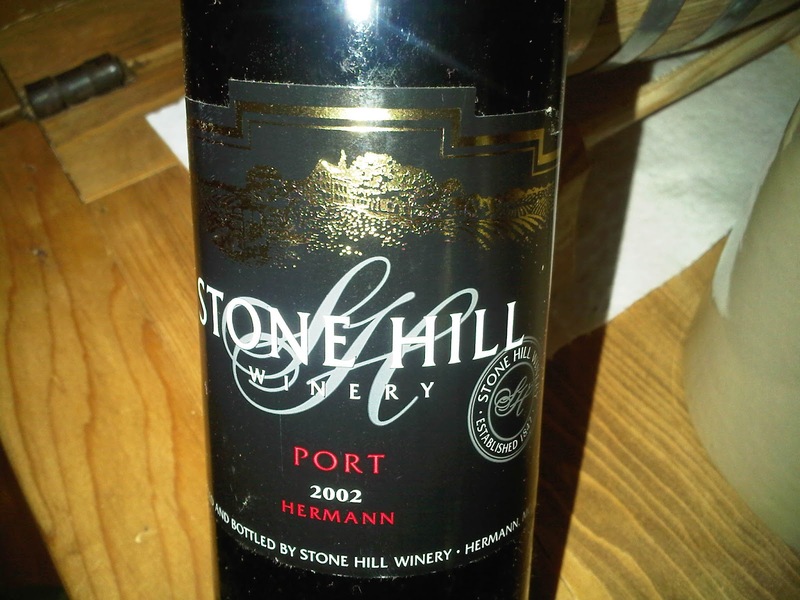 Or it can be fortified into a Port style wine like the Stone Hill Winery 2002 Port. I purchased a couple bottles of this wine years ago in Kansas City, in a forgotten time when wine was allowed on-board planes. 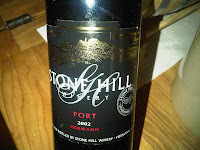 At the time it had just received some love from Wine Enthusiast magazine who had selected it as the best American Port. And two previous vintages had been awarded the Missouri Governor’s Cup. We learned in at the National Norton Festival that Norton wines should mature in the bottle for at least three years after bottling. 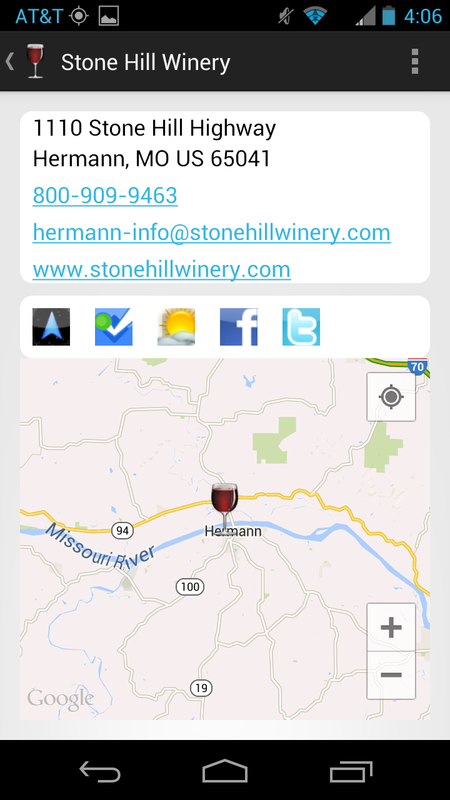 Most Missouri wineries join Stone Hill in cellaring the wine for you for a couple years before releasing. The same holds for their Port. Along with their vinification methods, the wine does not possess any of the highly acidic and grapey characteristics of young Norton. The flavor is rich with a blackberry profile and a hint of nuttiness & spiciness that is usually associated with Old Aged Tawny Port. 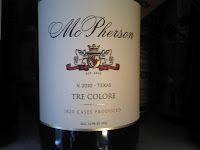 Yes this wine isn't Portugal - but it is a very good American and Missourian port styled wine. After visits to Foggy Ridge Cider and Castle Hill Cider I have become fascinated with the history and diverse apple varieties associated with hard cider. This post starts a new series, Cider 101, helping me, and hopefully you, learn more about the industry. Maryland is home to two cider makers, Distillery Lane Ciderworks and Great Shoals Winery. The later is just an infant, opening in 2011, and I picked up several of their ciders at the Maryland Wine Bar in Berlin Maryland. One of these was the Spencerville Red Hard Apple and little did I know that during high school I drove past these orchards during our after-school joy rides in the country - at least back then it was the country. The Spencerville Red apple was discovered and patented by the folks at Heyser Farms in Colesville (Montgomery County) Maryland. It is thought to be a cross between the York Imperial and the crab apple. According to the farm, the "apple is unusual because it has both a high acid and a high sugar content... a tangy flavor when first picked, then sweetens in storage". Besides selling the apples, Heyser Farms produces the Spencerville Red sweet cider. Matt Cimin, proprietor of Great Shoals, heard about the apple and soon it was the basis for the Spencerville Red Hard Apple sparkling apple wine. Even though it tastes like a hard cider, it is technically a wine since the alcohol content is over 8 percent. 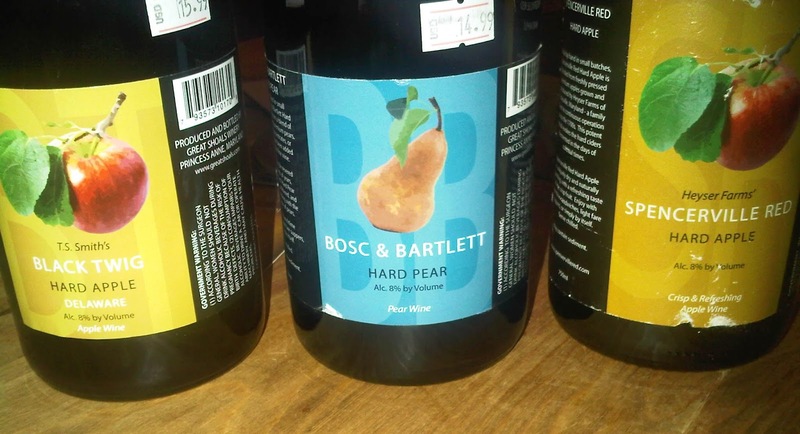 According to Maryland law, hard ciders must be less than 7 percent alcohol. The wine is also a sparkler, bottle conditioned to add a little bubbly - no manual carbonation. The benefits of using apples with high sugar contents. This is a very clean cider, refreshing, with a hint of tartness. And priced at $15 - a nice value. Last year, it won “Best in Class” and Gold medals at the Maryland Governor’s Cup Awards and a “Best Sparkling” at the Maryland Wine Masters’ Choice Awards. Nicely done. Another single varietal apple cider from Great Shoals is their Black Twig Hard Apple - officially recognized as Delaware’s first hard cider. That is, the apples were harvested from TS Smith and Sons - not far north of the winery in Bridgeville, Delaware. Legend has it that the Black Twig apple variety was first grown near Fayetteville, Tennessee during the 1830s - very Jacksonian of it. The apple is both sweet and tart - some refer to it as extremely tart, with a tannic finish. Like the Spencerville Red, the Black Twig Hard Apple is bottle conditioned sparkling and also labelled a wine because of its alcohol content. However, its flavor profile is completely different - with fuller flavors and the tannins are evident on the tail. Again, at $15, this is a nice value. And now we have to new apple varieties to add to our lexicon, Spencerville Red and Black Twig. New York State is the 4th largest producer of wine in the The United Grapes of America and most readers already are familiar with the popular wine regions of the Finger Lakes and Long Island. Less well known are the wineries of the Hudson Valley - specifically those on the Shawangunk Wine Trail. 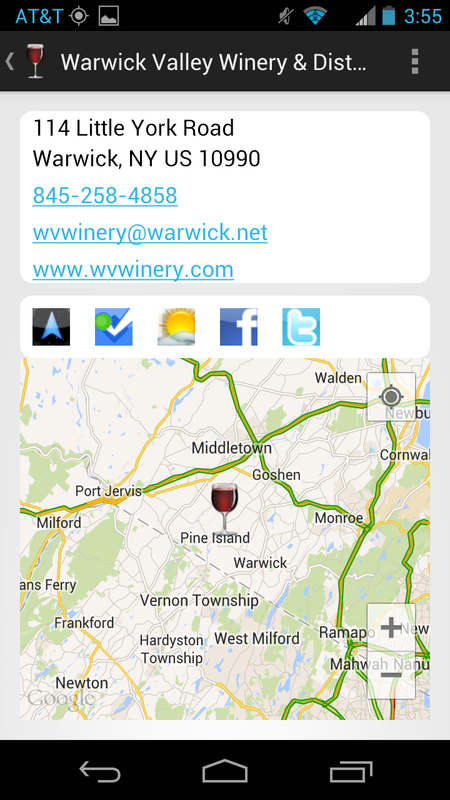 One of these wineries is a personal favorite, Warwick Valley Winery & Distillery, with their portfolio of wines, ciders, brandies, and Gin. 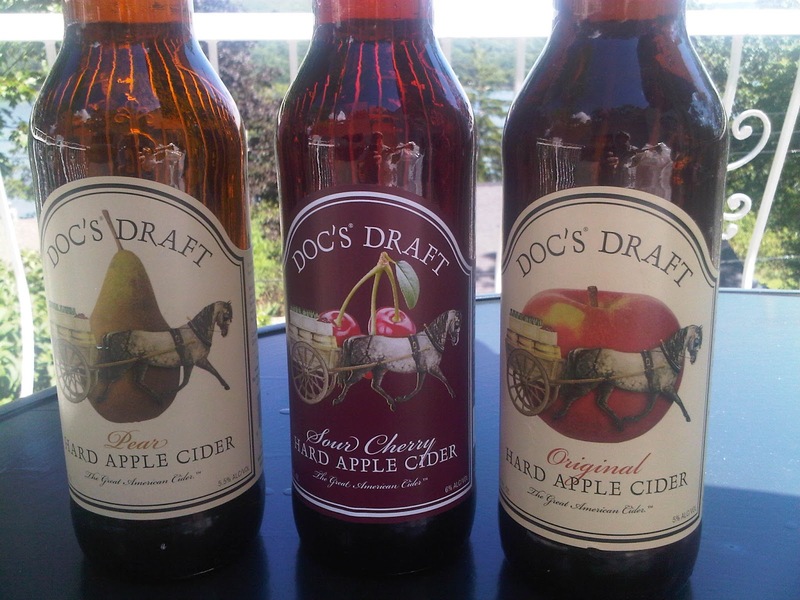 On every trip to Greenwood Lake, we stock up on their Doc's Draft Ciders (Apple, Pear, and seasonal) as well as some wine - like today's feature - the Black Dirt Red. The wine is composed of 100% Baco Noir, a French-American hybrid grape produced by crossing Folle Blanche, a French wine grape, and an unknown variety of Vitis riparia indigenous to North America. The grape is cold tolerant so does well in the Northeast and Canada - and particularly the Hudson Valley. 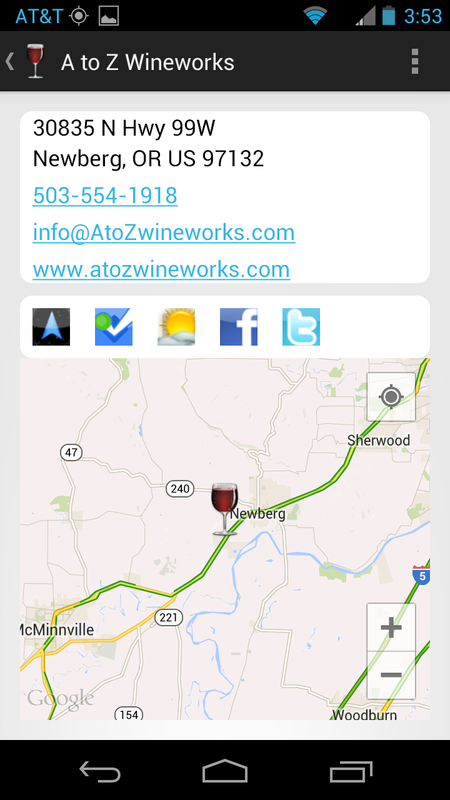 The wine's name refers to the agriculture area centered in Warwick, New York - the Black Dirt Region. This area is comprised of very fertile black soil, "left over from an ancient glacial lake bottom augmented by decades of past flooding of the Wallkill River". Warwick Valley Winery's Black Dirt Red has all the standard Baco Noir attributes: medium bodied, cherry flavors, and easy drinking - but his seems to have a more powerful flavor profile as well as a slight spicy - almost leathery - finish. Plus, the wine fits squarely into our budget for a nice table wine, $10.99. 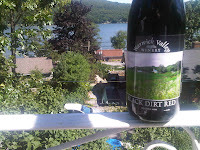 So give Baco Noir a try and specifically, check out the wines from New York's Hudson Valley. Note: the Doc's Draft Ciders are also highly recommended. I tried the Apple, Pear and Sour Cherry - all have great fruit - which produces a fuller flavor profile than most dry ciders. 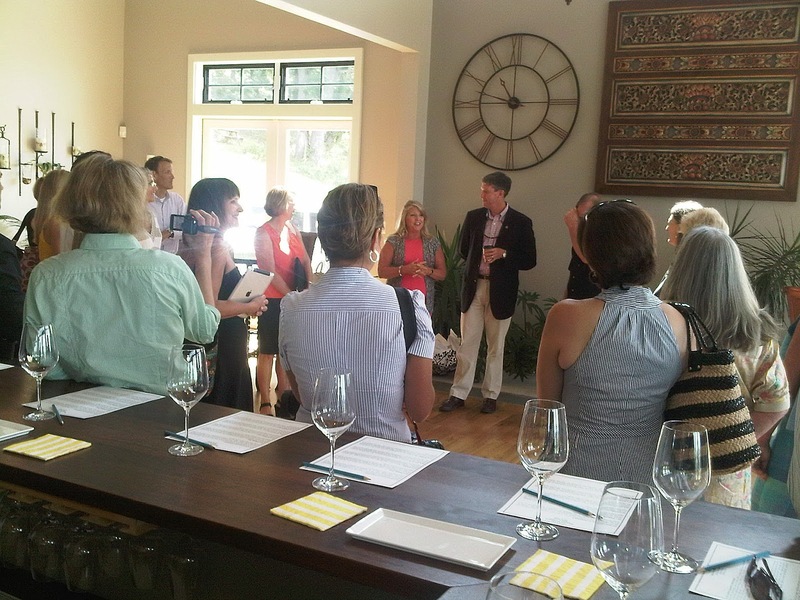 Last week we participated in the Fauquier County day of the two day Virginia First Lady Maureen McDonnell FLITE (First Lady's Initiatives Team Effort) tour of northern Virginia wineries. The purpose of FLITE is to "bring attention to the great work being done by selfless people around the Commonwealth who are taking the opportunity to leave Virginia a better place than they found it". In addition, the First Lady uses these tours as a Bully Pulpit to encourage retailers and restaurants to include local Virginia wine in their portfolio. Thus, our tour was primarily composed of members of those markets as well as a few members of the media, a blogger or two, as well as First Lady Maureen McDonnell and Secretary of Agriculture & Forestry Todd Haymore. The first stop for our bus was Delaplane, Virginia and Delaplane Cellars where proprietors and winemaker Jim & Betsy Dolphin met us along with State Senator, Jill Vogel. After a few introductory remarks Jim gave us a tour of the facility as well as his wine making philosophy. Delaplane normally specializes in the Rhone varieties Syrah and Viognier; but with supplies limited, we sampled their red Bordeaux, Chardonnay, Melange Blanc white blend, and an estate Petit Manseng late harvest. Delaplane has always given center stage to the vineyards where they source their fruit and this year's vintage is no exception, and they are finally able to showcase their estate Left Bank vineyard. Their 2010 Left Band Reserve is more of a left-right combo because of the significant amount of Merlot. Their Splinglot and Williams Gap Bordeaux blends are both fuller, courtesy of the more mature vineyards, with the Williams Gap Reserve my favorite - big blackberry flavors, a chewy mid palette, and a spicy - tannic finish. Their estate Late Harvest Petit Manseng show why that grape has promise in Virginia as it's inherent acidity nicely balances the sweet juice. Petit Manseng is also an input to the Melange Blanc (plus Chardonnay and Viognier), a nice summer wine - particularly for that100 degree day. We then headed just down the road to Paris, Virginia and lunch at the Ashby Inn And Restaurant. Here our sweet and sour radish soup and crispy port belly were paired with the Pearmund Cellars 2011 "Vinecroft" Viognier and the Chester Gap Cellars 2009 Cabernet Franc respectively. This magnificent lunch definitely gave the sommeliers in our group inspiration to pair local wine with local produce. Our final stop was to Linden Vineyards where famed winemaker Jim Law and Shari Avenius, Linden’s director and owner/winegrower of Avenius Vineyard, received us with a glass of the 2011 Avenius Sauvignon Blanc. This wine was highly appropriate not only to soothe our group from the day's heat index but also to showcase that white Bordeaux can be produced in the region (Glen Manor Vineyards). This is one of my favorite Linden wines; bright, crisp, with a nice combination of citrus and grass. In the cellar we followed up with the 2009 Hardscapple Chardonnay, 2010 Claret Merlot, 2008 Hardscrapple Red, and 2006 Late Harvest Vidal. Notice how Linden holds back releasing vintages in order for the wine to mature in the bottle. At Linden there is obviously no need to rush vintages out the door. And we learned how meticulous Law is in the cellar by juice to the Claret and in the vineyard by ripping out entire blocks when disease or low quality ensues. No wonder, Linden is considered one of the top - if not the top - producer in the Commonwealth. And this tour was another example of the McDonnell Administration promoting these excellent wines to local establishments. Several Linden, Chester Gap, and Pearmund wines are available in my area - hopefully they will be available in yours very soon.